About Our Company & History | Reborn Cabinets Inc.
Vinny and Brenda Nardo sell everything they cannot fit inside their green station wagon or the trailer, and leave New York City. The couple head West seeking a better place to earn an honest living and raise their sons Vince, 5, and Anthony, 3. Vinny decides he to start his own business doing a “new” method of cabinetry—Refacing. Refacing was, and remains to be, a faster and more-affordable way to restore cabinets. He and Brenda found Reborn Cabinets in Anaheim with nothing but a 1,200-square-foot shop and a $300 table saw. Reborn Cabinets grows quickly, filling three separate locations. The Nardos decide to make a move, and open a new 10,000 square foot store and showroom. Reborn Cabinets grows even more! Reborn Cabinets opens a 30,000 square foot manufacturing center and showroom. 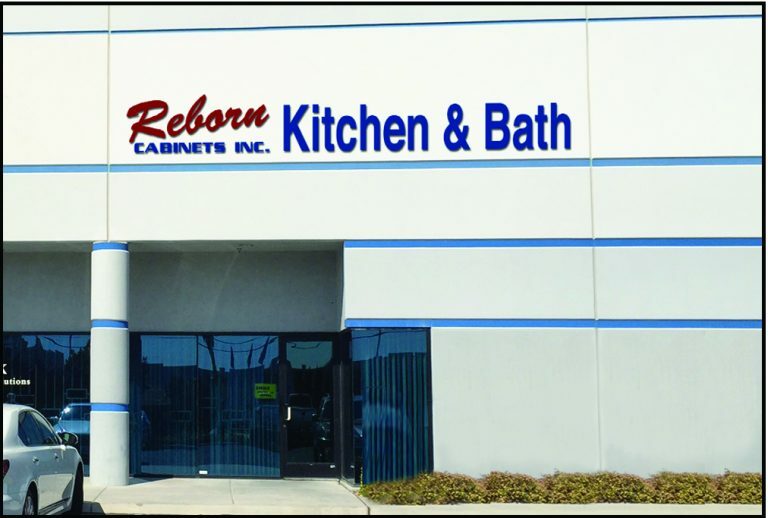 Vince Nardo becomes President of Reborn Cabinets, and Anthony Nardo becomes CFO. US economy takes a massive hit. The home remodeling industry is one of the first major sectors to become effected. Reborn sees almost half of its business disappear overnight, and their workforce is cut in half. After a series of hard decisions, and a lot of hard work, Reborn Cabinets emerges from the recession strong, launching its new division, Bath Solutions. 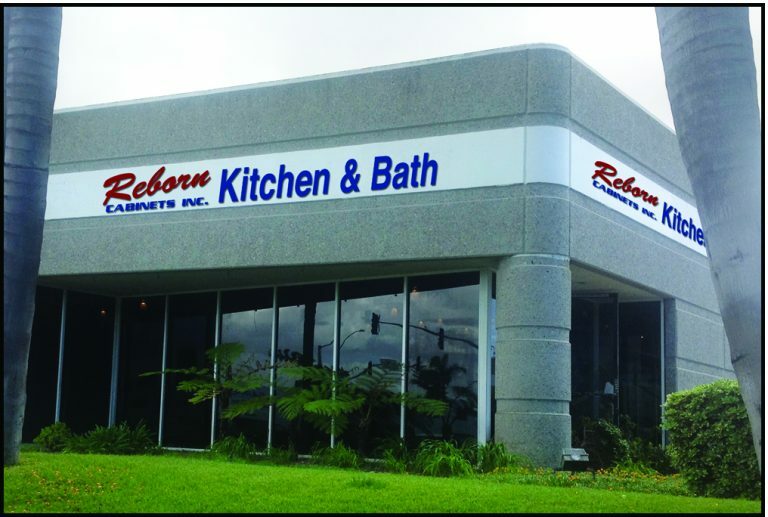 Reborn Cabinets opens its first satellite location in Torrance, CA. New Reborn locations open in Lake Forest, CA, and Las Vegas, NV. Additional Reborn Locations open in Pleasanton, CA and San Diego, CA! In 1974, Vinny and Brenda Nardo packed their two young sons and all of their possessions into their green station wagon and a 22-foot trailer. The young family set out across the country in search of a better life. The Nardo sons, Vince, 5, and Anthony, 3, slept in bunk beds in the family trailer while Vinny took on odd jobs, specializing in woodworking, here and there. Six months later, the Nardo’s arrived in California and settled in a trailer park across the street from Disneyland. Initially, Vinny took jobs at local cabinetry companies. Vinny brought a “new” method of cabinetry to these companies: Refacing. Refacing was, and remains to be, a faster and more-affordable way to restore cabinets. This new technique was so exciting and very profitable for the companies that Vinny worked for, that the couple saw and opportunity, so Vinny and Brenda decided to try to make a go of running a cabinetry company of their own. Reborn Cabinets was founded in 1983 with a $300 table saw and a 1,200 squarefoot office. Today, Reborn is still completely family owned and operated…And thriving! In addition to the leadership of Vinny and Brenda, Vince Nardo (President) and Anthony Nardo (CFO) have expanded Reborn Cabinets to four locations, including their 10,000 foot Anaheim Showroom and manufacturing center. Two more California locations are in development in San Diego and Bay areas. Our goal is to provide The Ultimate Remodeling Experience® for our clients with quality and service unparalleled by any other remodeling company. Team Reborn is held to the highest standard in the remodeling industry. We live by ten (10) core values that make up our promise to provide The Ultimate Remodeling Experience®. Build a Winning Team – Team Reborn will be built on the foundation of Respect, Christian principles and Family Values. This will be the underlying tone throughout the entire organization. We will not discriminate because of individual beliefs but will be accepting of each person for whom they are and what they have to offer the team. Have the Ultimate Working Environment – This will be evident through the cleanliness of our facilities, commitment to safety and dedication to the furthering of our team members’ education. We Care – From the initial contact through the completion of their project; our clients will experience an attitude of genuine caring and interest in their needs. The “Vinny” Principle – Treat each client’s home with the respect we would if it were our own. Do What You Say You Will – Our team’s commitment to this goal will be apparent in our promptness, cleanliness, and professionalism. Take Ultimate Project Ownership – Each member of our team will enthusiastically take individual ownership of each project. Listening to our clients’ concerns and address them promptly. Build It Better – Continuous Improvement will be vital to the success and the future of Team Reborn. Team members will evaluate and refine their process daily. Always Be Consistent – To reproduce consistent results each and every time, our processes will be meticulously defined and documented. Schedule It Right – Our projects will be systematically scheduled from start to finish. Make a Lasting Positive Impression – From the initial contact, during the visit to our Design Center, and throughout the completion of the project, our customers will remember us as providing The Ultimate Remodeling Experience®. Reborn Cabinets is committed to continually researching and implementing new technologies and processes to support our commitment to the environment. We are committed to doing our part in taking care of the natural resources available to us. Being a family owned company we understand the importance of preparing a heritage for our future generations. We want this inheritance to be something our generations can be proud of and enjoy.